Yoga is performed though the practice of three major principles: asana or the physical exercise, pranayama or the breathing technique, and mudra. A balance of all these practices purifies the mind, body, and energy system to be able to achieve a higher practice of meditation. Yoga also aims for the ultimate experience of cosmic consciousness. Aside from the spiritual quest of reaching ultimate freedom, Yoga techniques also help participants gain health, happiness, and calmness within a person. Yoga has been said to improve not only a person’s health but also his mental well-being. The quality of life of a person will then increase with regular practice and proper instructions of Yoga. Varanasi has always offered great traditions in Yoga learning that continues to date. Ashrams and Muths are traditionally the center of yoga learning and practice considering its serious efforts in establishing and developing modern institutions of learning related to Yoga. In fact, Yoga has even been given a place in their curriculum. Banaras Hindu University (BHU) and Sampurnanand Sanskrit University, two of the top universities in India, even offer faculties and departments in Yoga complete with meditation centers. Other main centers for Yoga found in Varanasi include Man Mandir, Center for Yoga and Meditation in Nirala Nagar, Pragya Yoga Institute in Jagat Ganj, International Yoga and Meditation Center in Nagawa, Kashi Yoga Sangh in Sankat Mochan, Bhring Sanhita Kendra in Bhadaini and Gayan Pravah. Yoga is so popular in Varanasi that the city even celebrates the Yoga Festival every year. Popular yoga centers around the country come together in Varanasi to participate in the one thing they are all passionate about. Some of the best yoga teachers pay tribute to yoga by providing insights about the practice and science of Yoga. Locals and tourists are all welcome to attend lectures and sessions frm of the most famous yoga teachers in India during the course of the Yoga Festival in Varanasi. 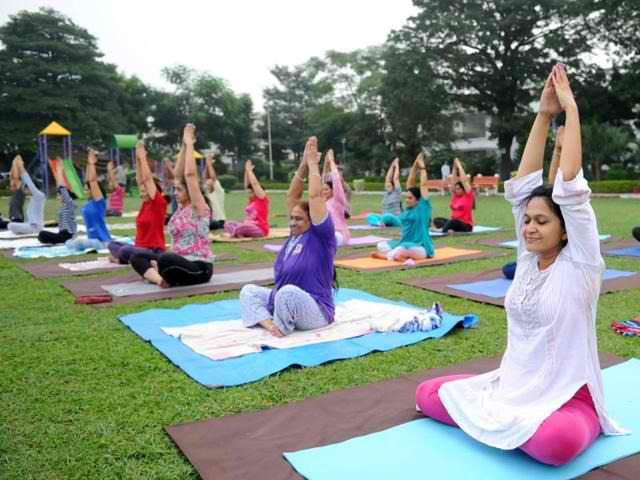 The relevance of yoga has been increasing by the mile in modern times as the popularity of the practice can even be felt in the western part of the world. For those who have found a new love for yoga, visiting during the yoga festival in Varanasi is a great opportunity to get to know more about this astounding practice. But for those who are just curious about the experience, trying yoga in Varanasi would be a great place to start.